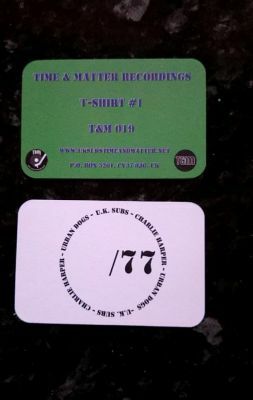 Time & Matter Records operating as a commercial section under the Time & Matter Recordings 'umbrella'. 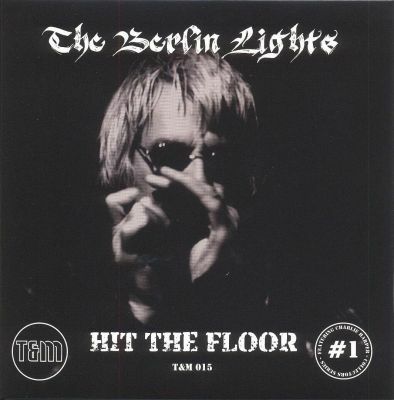 All releases will bear the T&M catalogue number. 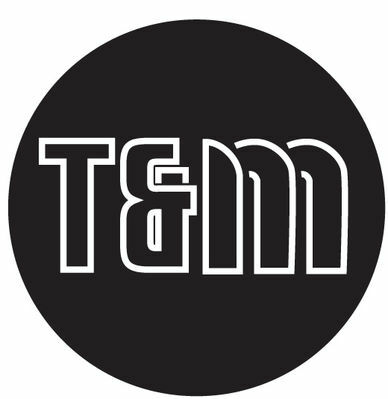 Time & Matter Records' catalogue number T&M 021 is a patch! 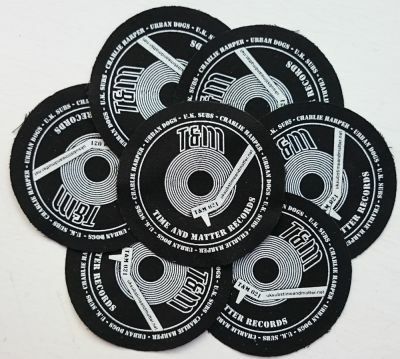 Our latest piece of merchandise, the T&M record label patch is screen printed onto black cotton, measures 90 mm (3.5 inches) across and is priced at just £1-00 plus postage and packaging. 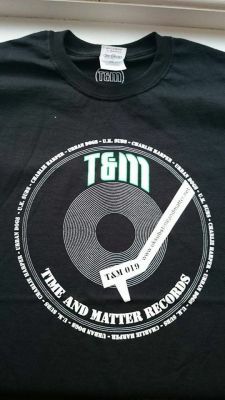 However, when purchased with any other item in our Big Cartel T&M webstore, postage and packaging will be free. A free patch will also be sent out with any order where you purchase 3 different items at the same time. 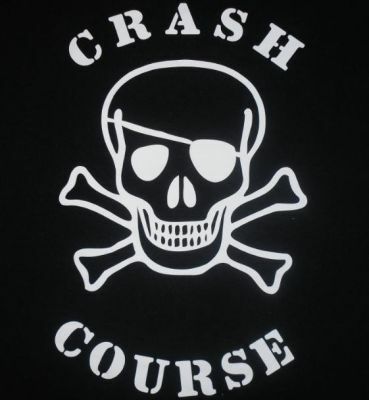 A free patch will also be included in all our triple pack offers that we have available. 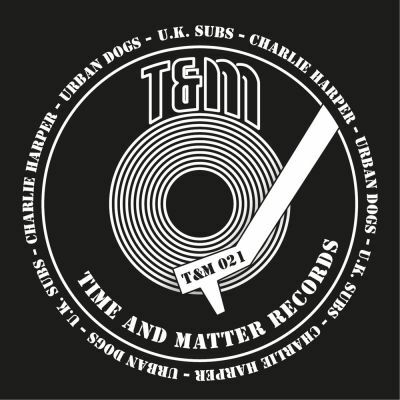 The U.K. Subs specialist record label Time & Matter Records have today (26th May 2015) released the brand new and incredibly exciting Charge 69 album 'Much More Than Music' on CD in the UK. We are also stocking blue vinyl copies of the album released on Combat Rock. 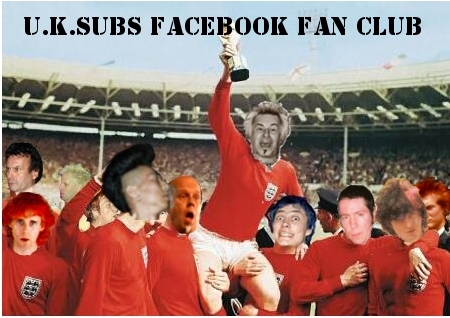 They've got theirs, where's yours? 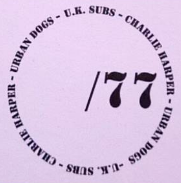 Charlie Harper and Knox's URBAN DOGS are back with an almighty bark! 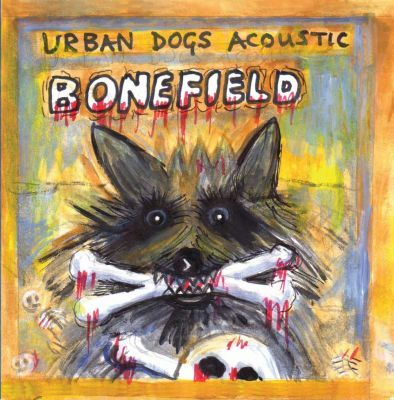 After their last fantastic release, the critically acclaimed acoustic ‘Bonefield’ album on Time & Matter Records, Harper and Knox return with an electrifying couple of new songs entitled ‘Rebellion Song’ and ‘One Foot In The Grave’. 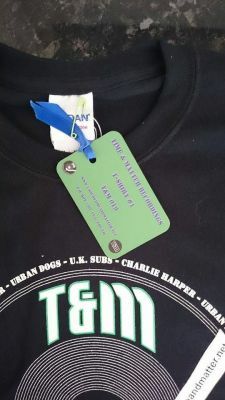 Produced by Charlie himself, with Pat Collier as engineer and bassist, the latest Urban Dogs line-up also features original drummer Matthew Best. 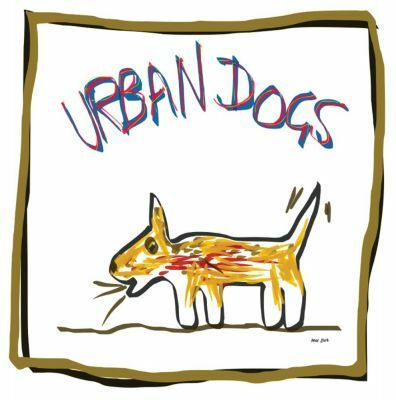 A Knox painting of an 'Urban Dog' features as the 7" single's cover, which also includes a lyrical double-sided inner sleeve. 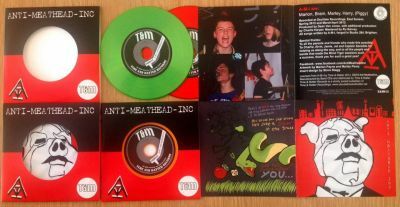 The single is a limited edition of 500 hand numbered copies, on dual coloured vinyl with the T&M catalogue number of T&M 016. Charlie Harper takes the vocal duties on this outstanding song about the will of the people to keep writing ‘the Rebellion song’ in reaction to the destruction caused by war-mongering leaders. 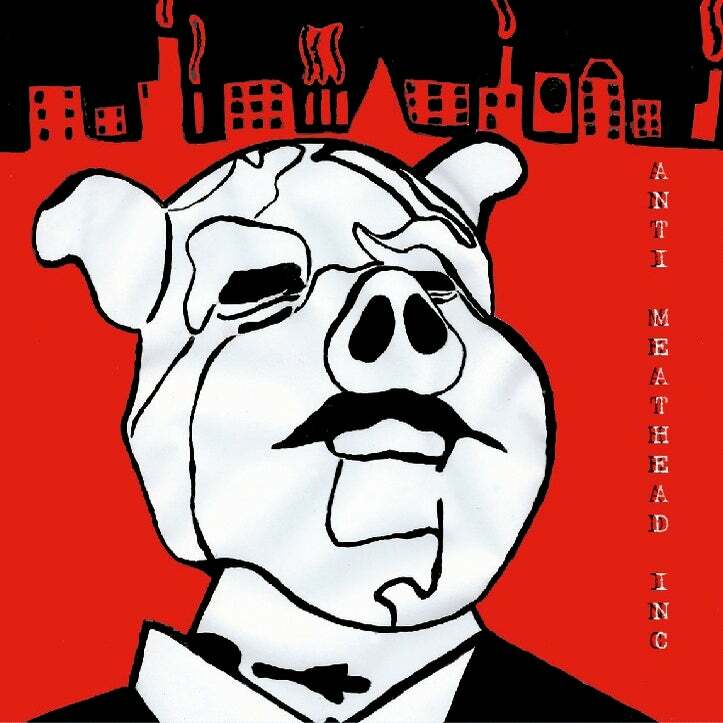 Singing about believing in “creative rebellion”, this mid-tempo instant classic with a catchy chorus rides throughout on some fabulous soaring guitar work. “No one can save me now as far as I can see”, Knox sings on this up-tempo dazzling Urban Dogs number, with haunting deep murmured backing harmonies. With some world-weary Knox political commentary on the rich and the poor, which provides perfect symbiosis with Harper’s ‘Rebellion Song’, there’s also a parallel personal commentary on mortality infused into this song via Knox’s dark humour. U.K. Subs fans, Vibrators fans, Urban Dogs aficionados et al can rejoice that this dynamic duo are back, better than ever, and snarling and howling to their fans’ content. Extraordinarily, they've created a blisteringly prodigious punkrawk inspired debut album. 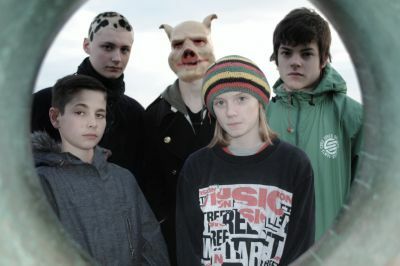 The line-up consists of brothers Marlon (15) and Bram Payne (13), their best friend from primary school Marley Perez (15) and rock school friend Harry Stagg (12). Marley is Charlie Harper's grandson, and Charlie himself helped to produce some of this stunning album. 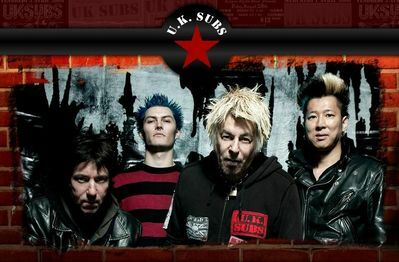 Having supported U.K. Subs, 999, Louise Distras and many others, the band are now getting a bigger following, with support slots booked for Penetration, Vice Squad, 999, Menace, The Straps and of course the Subs at the 100 Club on 24 May 2014. 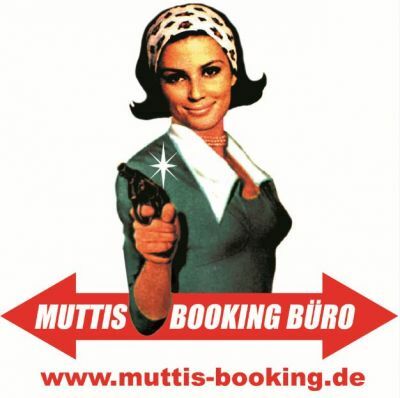 A-M-I are also booked for the Rebellion and Undercover festivals later in the year. 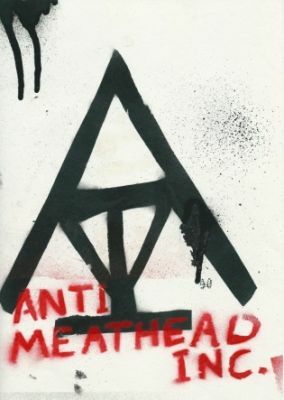 Their songs tackle a range of issues - including rampant consumerism (Stuff), bullying (Meathead / Billy No Mates), environmentalism (The Beach), treachery (Implode / The Worm), rebellion (R.A.T.S) and so called pop-music moguls (Svengali). 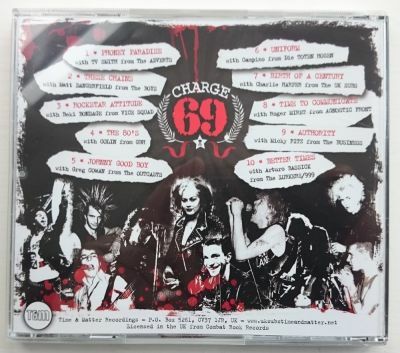 Seventeen minutes of mind bending space rock and psychedelic guitars from two legends of the UK punk scene; Charlie Harper (U.K.Subs) & Captain Sensible (The Damned). 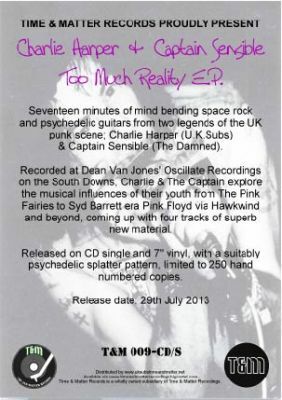 Recorded at Dean Van Jones' Oscillate Recordings on the South Downs, Charlie & The Captain explore the musical influences of their youth from The Pink Fairies to Syd Barrett era Pink Floyd via Hawkwind and beyond, coming up with four tracks of superb new material. 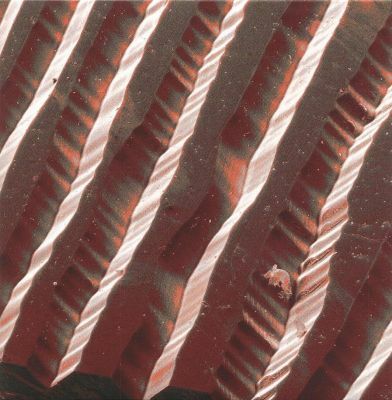 Mastered by Tim Turan. A limited edition 7" single version of 250 copies on cream and purple splatter vinyl sold out in 24 hours, then a repress of 250 copies on purple and cream splatter sold out just as quickly. Now a final pressing on clear vinyl with a limited edition postcard is due for release on Monday 18th November at 6PM. 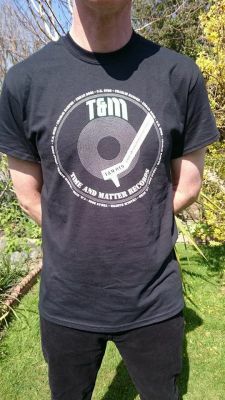 Time & Matter have also been auctioing Promo Copies of the 7" single on Ebay raising over £500 for the RNLI. 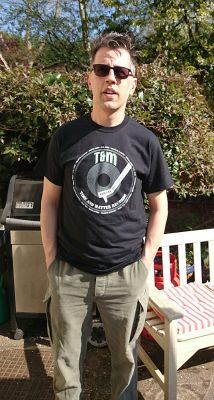 See the T&M Ebay seller profile HERE. 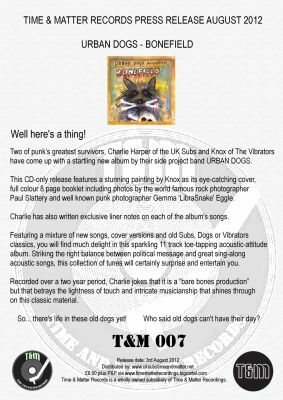 The first album of new recordings from Charlie Harper (U.K.Subs) & Knox (The Vibrators) since 1998s 'Wipeout Beach'. Boasting 11 tracks of new material, cover versions, Subs, Dogs and Vibrators classics, all recorded in an acoustic style between 2009 & 2011. Recorded at Stan Standen's Emirates Studio and mastered by Tim Turan. release to go to the webshop. If you don't want to pay on-line and wish to post your payment then please send cheques made payable to 'Time & Matter Recordings' to the P.O. Box address below*. Please don't send cash as it may not make it to us. All international orders are via Big Cartel only. 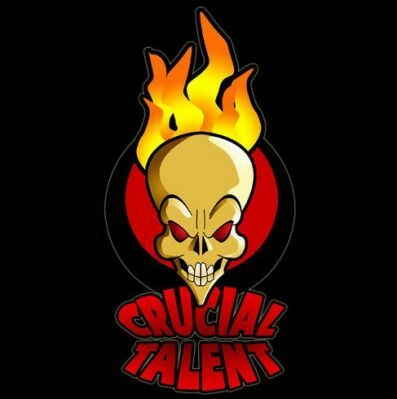 Distributors, websites & record shops please contact us for prices. 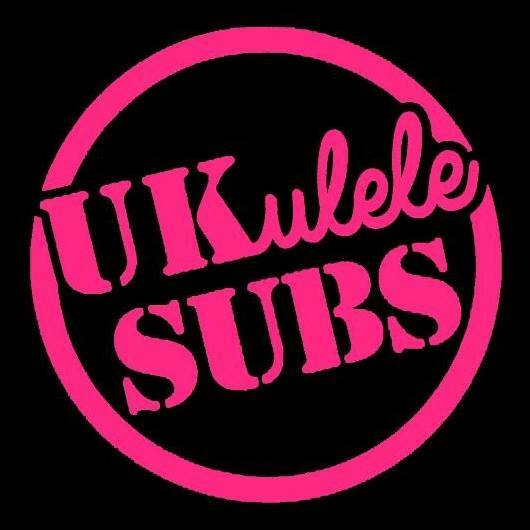 T&M 018: U.K. Subs - Amoeba Sounds E.P. 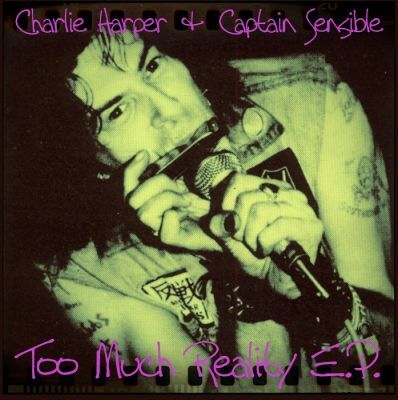 T&M 009: Charlie Harper & Captain Sensible - Too Much Reality E.P.